Who would have thought? 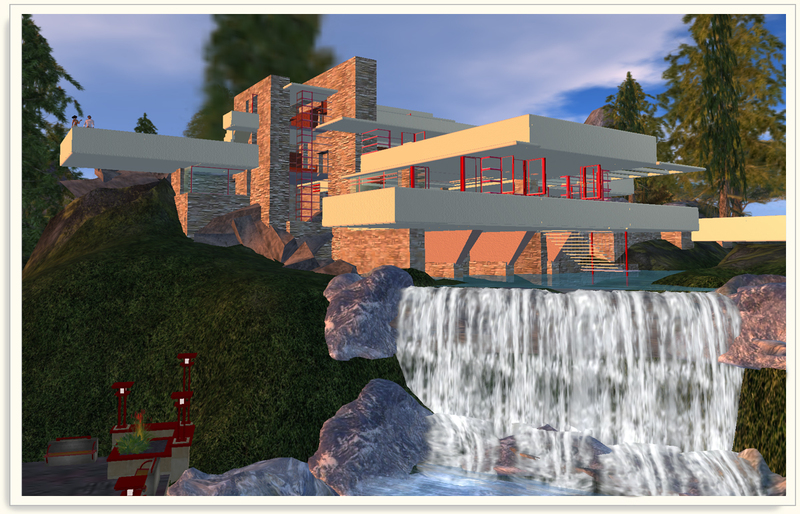 A fantastic Frank Lloyd Wright museum exists in our pixel world. 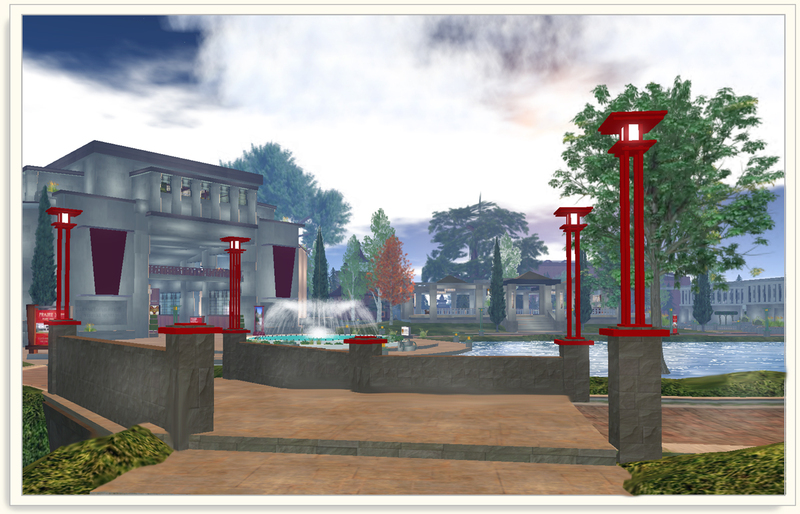 I found it merely by chance by but I enjoyed the museum as well as visiting the virtual recreations of some of Wright’s famous residential buildings. 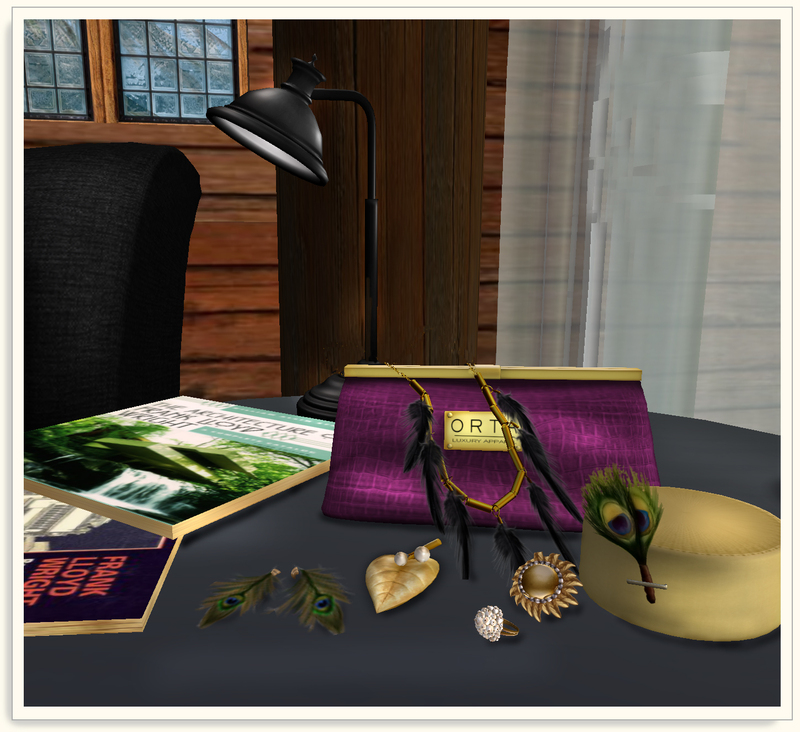 There is even a museum store where you can buy recreations of furniture, posters, lamps and virtual books. It is educational, beautiful and really worth seeing! And my g0-to-the -museum attire? The look was inspired by a couple of different things. The first was the pillbox hat by Epoque with it’s peacock feather trim. The second was the sweater and pin from Surf Couture (a 50 linden Friday item). I added the BettyPage Voyager jean jacket and the chiffon skirt from So Many Styles. (The skirt is a staple in my closet..I love the realistic layers and it comes in many colors as well as a subtle dotted pattern.) 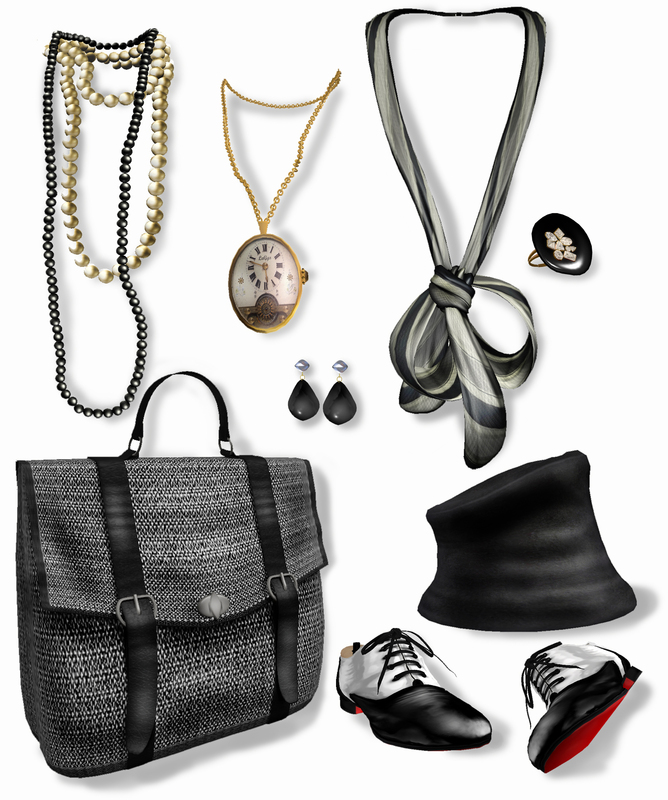 I think accessories make the outfit… so not one but two gorgeous rings…one from Zaara and the other from Paper Couture. Feathers became a theme….there are feathers on the necklace from Atelier AM and the earrings from Pididdle are peacock feathers that match the one on the hat. And Valena Glushenko’s (Orta) wonderful Stella clutch adds a little punch of color. More credits and landmarks after the cut. And forgive me all the pictures but I wanted to show the museum as well as the outfit (the first one and the last two are at the museum). And by all means go check it our if you get a chance! Click on any image for a high-res version. Details and landmarks after the cut.